Whilst we hope and pray that this event in Christchurch is an isolated occurrence, I would like to reassure you about our school’s already established lockdown procedures. We ran lockdown drills in Term 4 last year. These went smoothly with the children responding in the appropriate manner. Should the school ever be placed into lockdown, we will endeavour to communicate with you via Educa, Facebook and the website to ensure you are informed about the ongoing situation. We ask that parents DO NOT come to school in a lockdown situation, as this can place you in danger, and we are unable to let you into any part of the school. Staff and children can only be released from a lockdown situation by me or the deputy principals in person. We will also be reviewing our lockdown procedures in coming weeks, using the experience of our Christchurch colleagues to further refine existing practices. I have been checking in with teachers and our classrooms are very calm and it is business as usual. The Year 0 and 1 children had a wonderfully successful trip to Te Papa – a big thank you to the teachers involved and parents for their support. We are aware that some New Zealand schools are holding assemblies to remember the victims of the attack. We do not anticipate doing so at this point in time. Our strong belief, is that it is you, the parents, who should decide how, when and if, you will address these events with your children. We also know that questions and conversations amongst children are inevitable. Our teachers have been provided with information and advice regarding ways to respond to these questions and conversations. 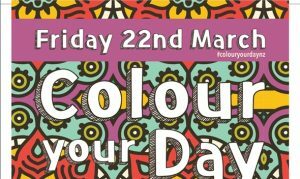 What we would like to do is participate in the Colour Day that is being promoted throughout NZ. Our focus will be on kindness and valuing diversity. Because we are also having our Wacky shoe day – we can extend the colour to clothing as well. During the morning our student leaders will be judging the wackiest shoes and we will gather after lunch to hand out prizes and sing a few waiata. Please note – the Canterbury Primary Principals Association has been in contact with Muslim advisors through the MOE. They have advised that the wearing of red is the least culturally appropriate colour from the perspective of the Muslim community. 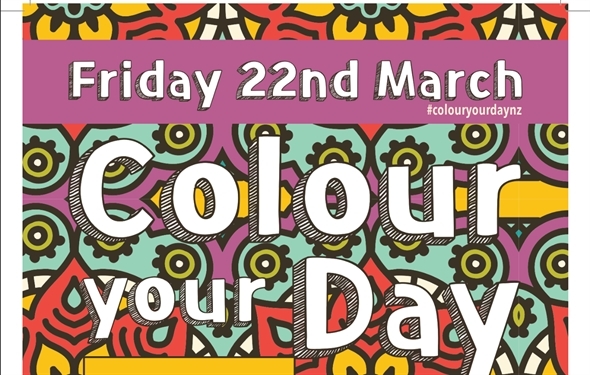 By wearing bright, happy colours, we will be showing our support for our Muslim communities and the people of Christchurch. We are aware that many of you may have already donated in various ways, but if you would like to contribute we will have a bucket in the office area which we will forward to the Mayoral Fund called, ‘Our People, Our City’.